Andrew Rafal is a financial advisor who has dedicated more than a decade to helping clients achieve their financial, retirement and estate planning objectives. 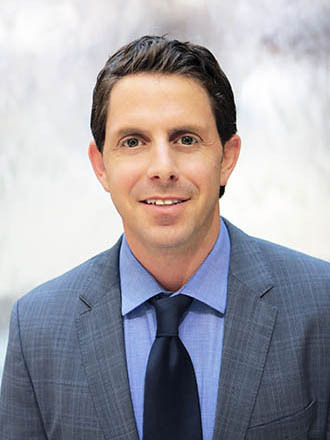 He is President and Founder of Bayntree Wealth Advisors headquartered in Scottsdale, Arizona, and assists clients throughout Arizona and the U.S.
Andrew prides himself in acting as a personal CFO for his clients. He creates customized financial plans and investment strategies to help clients realize their retirement goals. Andrew is known among his clients and colleagues for upholding a “gain and retain” investment philosophy and for his unparalleled dedication to client service. Co-author of the book, Climbing the Retirement Mountain, Andrew is a nationally recognized retirement planning expert who has been featured in the Wall Street Journal, Forbes, CNBC, The Washington Post, Yahoo Finance and MarketWatch. Additionally, Andrew has served as an instructor of retirement planning courses at ASU West. Andrew is a member of National Association of Insurance and Financial Advisors (NAIFA) as well as Ed Slott’s Master Elite IRA Advisor Group™ an organization of financial professionals dedicated to being leaders in the IRA industry. A committed member of the community, Andrew is actively involved with EC70, a group dedicated to helping Arizona youth overcome adversity. He holds a degree in Business from the Richard T. Farmer School of Business at Miami University. Beyond the office, Andrew enjoys traveling with his wife Jules and daughter Winter, as well as hiking and biking in the beautiful mountains of Arizona. An avid fan of the arts and theater, he and Winter have a standing date at the Nutcracker each December. Andrew still roots for his favorite hometown teams in Cleveland. One of his childhood dreams was realized in 2016 when the Cavaliers took the NBA Championship Title. He’s still holding out hope that the Indians will win a World Series title after narrowly missing their chance in 2016.